Each is hand finished with fluffy white bodies made of real sheep’s wool. 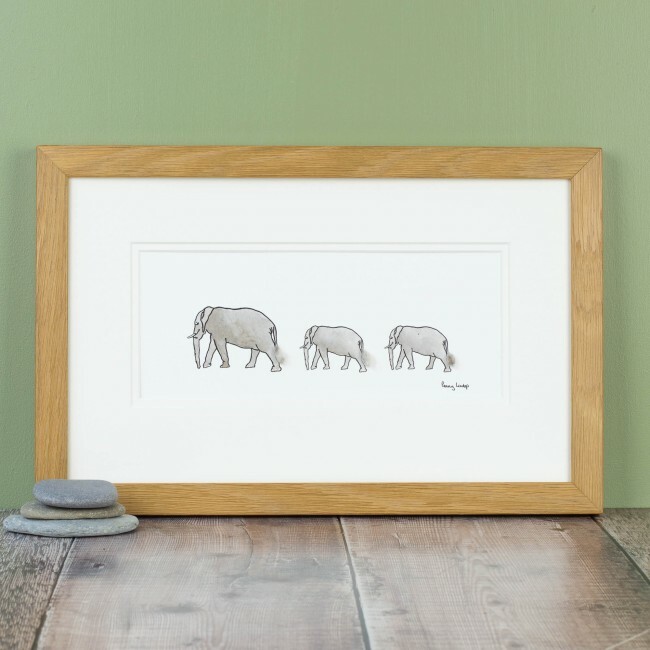 Just a lovely image to have on your wall, or to gift to a friend, maybe someone who's just come back from a memorable holiday where they saw elephants for the first time. This picture is printed on a an acid free archival quality paper made in the UK, producing a lovely crisp quality of image. Supplied in a conservation quality double mount. 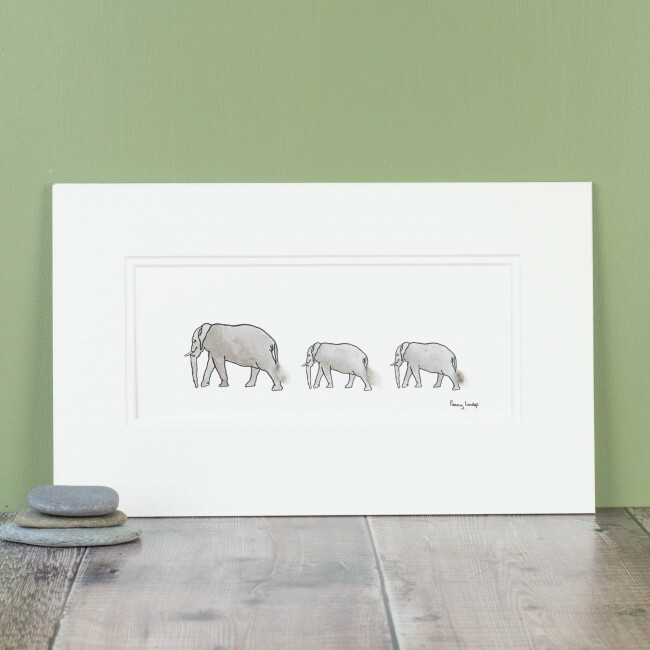 Mounted picture size - 270 x 185 mm This is a non standard size print, but extremely popular as it so suits our quirky design. 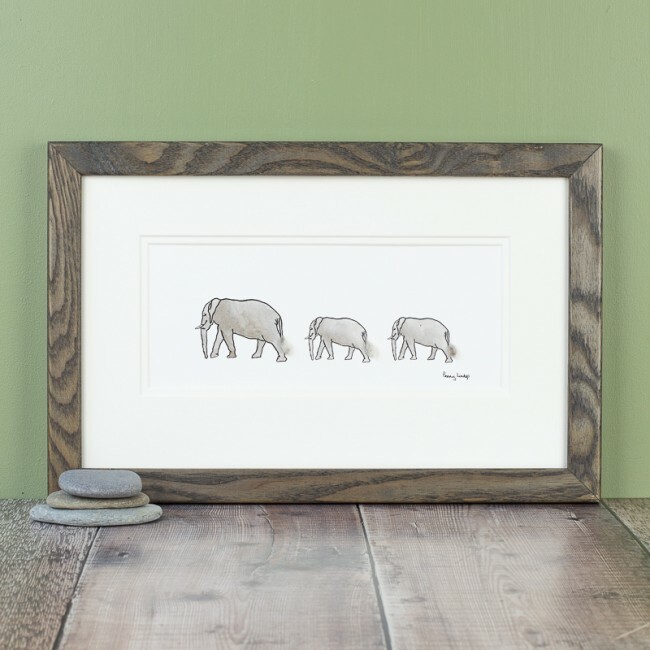 However, we would be very happy to frame it for you in either our natural oak frame or our charcoal grey stained ash. The penguins would look good in either frame. 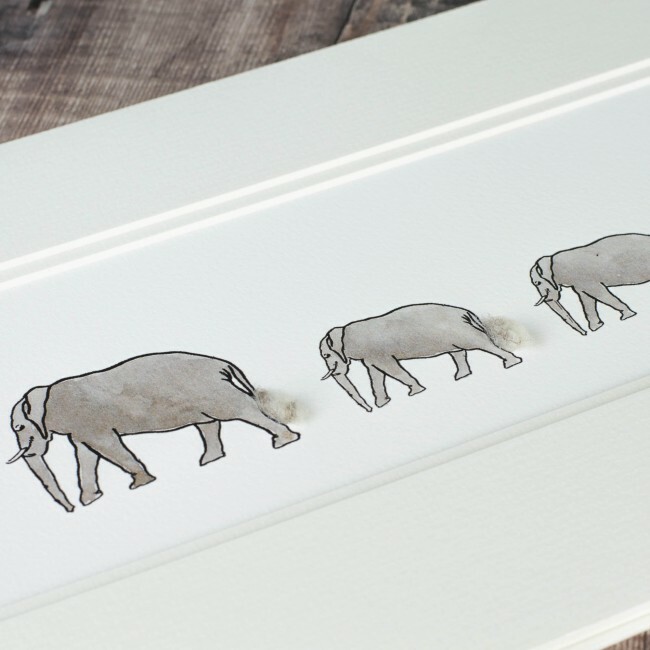 We would also be happy to add some small amount of personalisation for you; just a single line of text which we would hand write in pencil beneath the elephantss. Something along the lines of "memories of summer 2017" maybe.